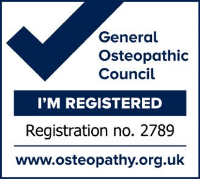 Osteopathy is a well-established and recognised healthcare treatment, which can help with a variety of, predominantly, musculoskeletal problems. Osteopathy focuses on you, the patient, and is a whole body (holistic) approach to diagnosing and treating musculoskeletal injury, imbalances in your body and the resulting pain it causes. Osteopathy not only targets treatment of an injured area but tries to find the root cause of problems, which may be distant and seemingly unrelated to the painful area. 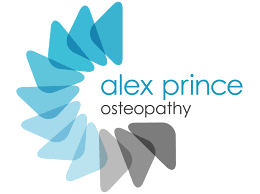 "Osteopaths aim to promote and restore health to the whole body system"
Osteopaths diagnose injuries, strains and imbalances through your whole body. They use a combination of skills; a detailed case history, specific physical and clinical examinations and also utilise a finely developed palpatory sense (sense of touch) to feel areas of dysfunction. Osteopaths treat patients using highly skilled "hands on", manual techniques. They gently mobilise and manipulate (both spinal and peripheral) joints. They also use a variety of soft tissue techniques (including stretch and massage techniques) on muscles, tendons and ligaments. By changing and influencing the balance of your bodies structure, they aim to improve the way it can function. "The Osteopath aims to restore health, and equilibrium within your body"